Coming Soon! A Piano Community Like You’ve Never Seen Before! A new year just begun, and it’s the perfect time for positive changes and new piano achievements! The holiday season has been hectic – besides the questions posted in “Ask Me a Piano Question”, I’ve been receiving tens (sometimes more than a hundred) emails per day from piano enthusiasts from all over the world. It’s definitely an overwhelmingly amazing experience!!! “Ask Me a Piano Question”! Wow! When I launched this little project, I had no idea that it will be such a rewarding experience! Piano questions keep coming and I realized that the simple ‘comment’ structure of this page is no longer suitable for the increasing flow of questions (not to mention the emails!). That’s why the first thing I’m going to do in 2012 will be creating an online piano community instead of “Ask Me a Piano Question”. It will have the structure of a forum, but it will be much more than a forum! And, of course – as always – I’ll reply to each and every one of your questions in a very detailed manner! There is another reason behind this project: in my opinion, each one of you (no matter if you’re a professional piano student or an amateur musician studying piano by yourself) deserves to have easy access to real-time, detailed professional piano advice! As I often mention in my articles, correct information and correct piano ‘training’ are those secret ingredients which make the difference between a productive, pleasant practice and an inefficient, ‘traumatizing’ one. The Internet allows us to overcome any distance – and I plan to make good use of what technology has to offer for helping you play better, feel better and enjoy every moment of your piano journey! Moreover, video tutorials will be an important part of this new project – 2012 will be the year of many videos – and many video answers to your questions! And, as I already mentioned, you’ll always have the opportunity to share your own video and audio recordings – so I’ll be able to give you better practice and performance advice. And don’t worry – PianoCareer.com in its current format is not going anywhere! All the old articles and videos will remain on the site, and I’ll keep posting new ones as often as possible. 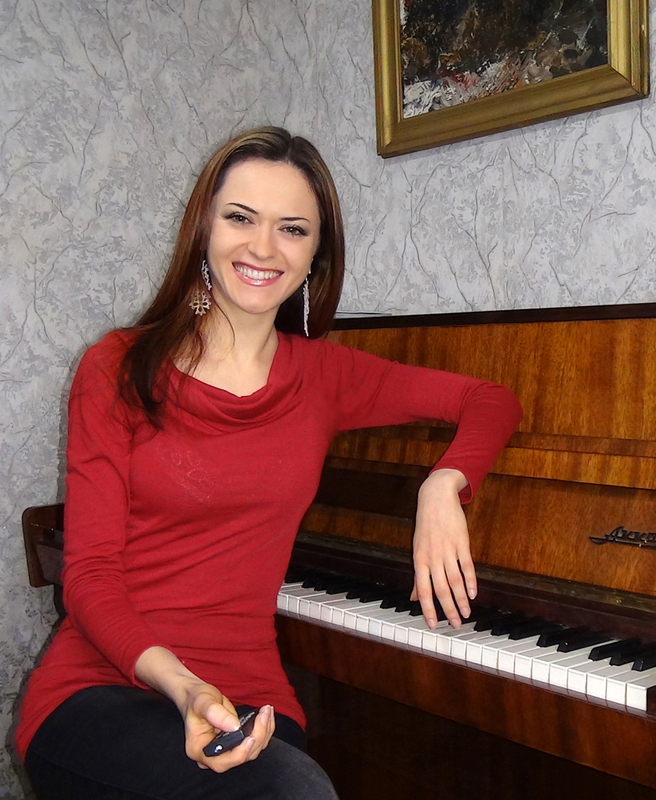 Now I simply want to take to the next level my original plan: sharing with you my holistic approach on piano playing, music and life AND ‘disclosing’ the secrets of the Russian piano school. The beginning of a new year usually gives us the motivation and the inspiration to change our lives for the better, to learn many new things and improve our skills. In 2012, instead of being lazy or settling for old comfortable habits, gather up the courage to raise your piano standards! Practice smart! Learn new piano secrets! Improve your posture! Improve the quality of your sound! Improve your musical understanding! Improve your technique! Be strong! Be passionate! Make a difference! And don’t forget – big changes happen because of the little things we do each day! So, I’m currently working on making this idea come true! Solving technical site-building problems is usually the biggest challenge for me LOL – and I hope to figure everything out really soon! Soooooo… stay tuned because exciting changes are almost here! I can’t wait to make this work and I hope you’ll really enjoy this project! 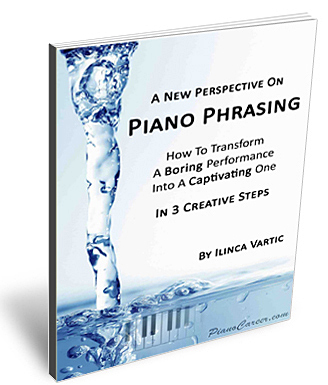 I’ll keep you posted via my newsletter (you can click here to subscribe and get a free copy of my report A New Perspective on Piano Phrasing), Facebook, Twitter and Google +! Talk to you really soon! Thanks for your e-mail, I can’t wait what you posted next, and enjoy your rest of the weekend!! I LOVE your enthusiasm and really look forward to the new changes. Your site has been so invaluable and as a frequent guest I have learned so much from you as well as from the questions and answers from you by other guests. Also, a link for posting recordings and videos for your and other member’s review is a TERRIFIC idea! Love it! Can’t wait for your future videos too!!! Thank you for your suggestions – it’s a great one! You’re right – the current format of “Ask Me a Piano Question” is not very comfortable to use – that’s why I’m planning to upgrade it and make it as user-friendly and enjoyable as possible :)! The questions and answers will be very easy to find, and I also think that the ‘forum’ structure allows setting up ‘alerts’ – just like you said! I hope everything goes well and you’re enjoying your practice! I love this quote as well!!! I think I shared it on Facebook or Twitter a couple of months ago :). Thank you so much for your support – it means a lot!!!!! I’m looking forward to seeing you in this community which I’m about to create!!! The forum approach is a wonderful idea. Not only does that encourage user participation , but it also can lighten the load on you also. I know that you can get overwhelmed and bombarded with questions. Through all of that you still give in depth and thought out answers. Words can not express how grateful I am to you for the time you put into this. You have helped me, and countless others with your generous sharing of knowledge. Whatever format you choose, I will be the first to sign up!! I am going along for the ride. Just know that in me you have a true fan for life! Keep up the good work and much success to you in 2012! I wish you an amazing year as well and good luck with your current piano project! 😉 See you in the new Piano Community!!! Keep the good work going, you did so much already! Have an amazing day and talk to you soon! Great great idea that you have!!! Super idea and I look forward to your exciting new project. Like your other readers, I’m so grateful for all your invaluable help and expertise. Whatever the question, you selflessly give your time so that your in depth replies not only encourage, but enable us to move forward in a productive and positive way. Count me in for life, please! Thank you very much for all what you’re doing and I wish you every success which you well deserve. Lovely to see you sitting by your piano at home and to hear you talking again. I like the look of your piano. It’s so great to hear from you!!! I’ll reply to your other comments a little later today! I’m so glad to be back! I’m really looking forward to the video tutorials as well as your forum and new projects. It’s wonderful to hear of your new ideas to benefit your readers. I hope you’re getting much enjoyment from all what you’re doing too. Hello! I registered a few times for the piano phrasing book. But I never get the verification email. I do not have any spam filters. The email address on this comment is the one that I used. I also registered for pianocareeracademy.com with this address. Hope it works. 🙂 Loving your videos! You pre-registered successfully, and it’s strange that you can’t subscribe to my PianoCareer.com newsletter… I have an idea: I will add your email manually and let’s see if this time you get the confirmation email.